My godson has a pretty awesome school supply list. 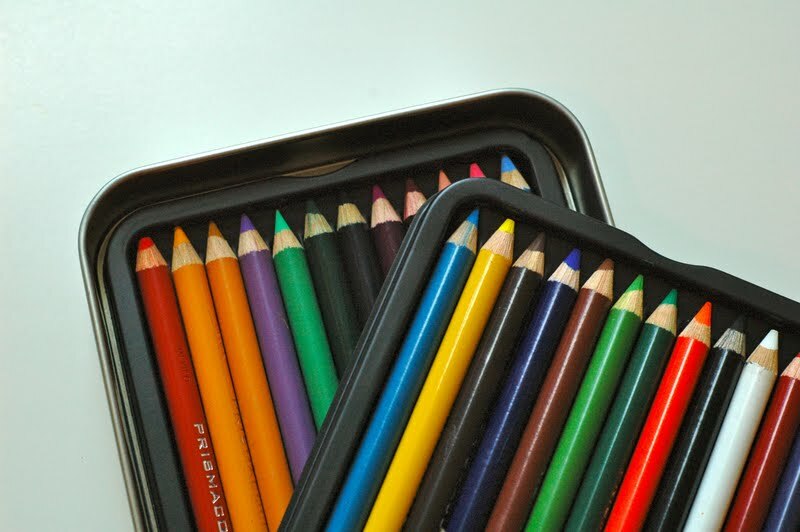 I’m not saying that as a mom, because as a mom, Prismacolor pencils are kinda pricey for a 6-year-old, but as a kid, I’d have looooved to have these in my pencil box. 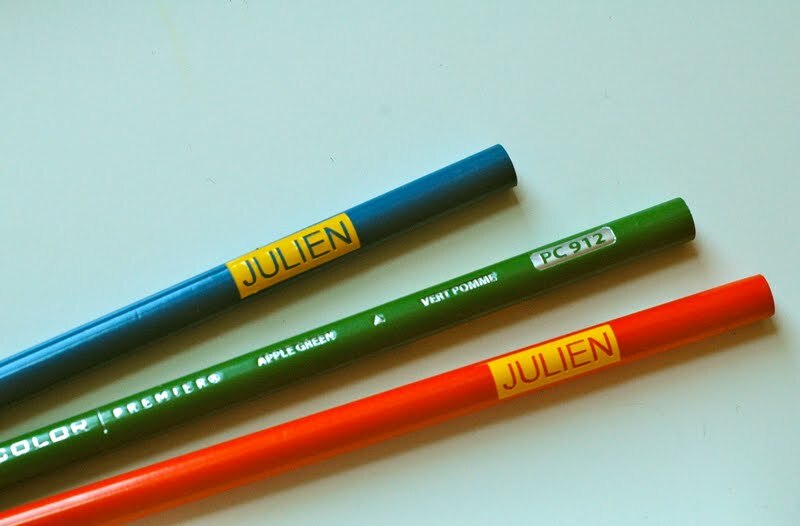 I didn’t get to use these pencils until high school, and I was in loooove. Really, I’d say these were THE staple in our high school art classes. A lot of other media came and went, but these were in constant use. The color is smooth and vibrant, stable but blendable. And they come in sets of up to 132 colors. Looking at that particular set still makes me feel a little dizzy. For this project, I was assigned a set of 24 that he needs to have at the ready when school starts after Labor Day. And since every kid in the class will have the exact same set, some labels are a good idea. I decided to use the Silhouette. 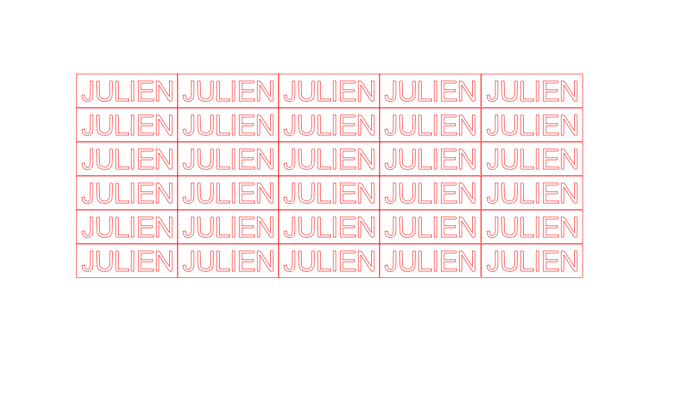 There are a bajillion ways to mark things like this, but I’m using the Silhouette because I caaaaaaan. So here’s what my file looked like. Really tiny. Kind of an experiment– I wasn’t sure whether the cuts at this size would work. Turns out they did. I was lucky with this name– in all caps there are no negative space bits (like the center triangle in an “A”) that I needed to hang on to. 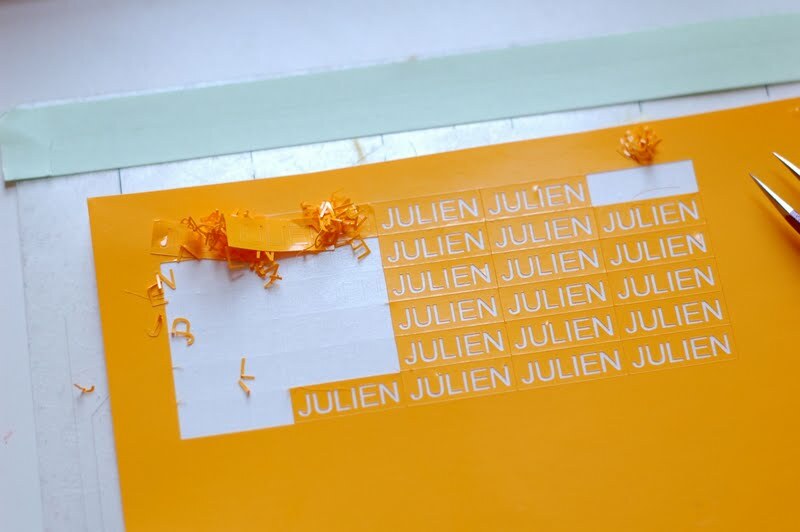 So I just used really sharp, pointy tweezers to weed out the letters and then pick up the labels and apply them. Related to the previous declaration of my nerdiness, here they are, all lined up. So now I feel content that I’ve done my part to get this kid ready for school. I’ve never heard of Prismacolor Pencils, Susan, but they look yummy. 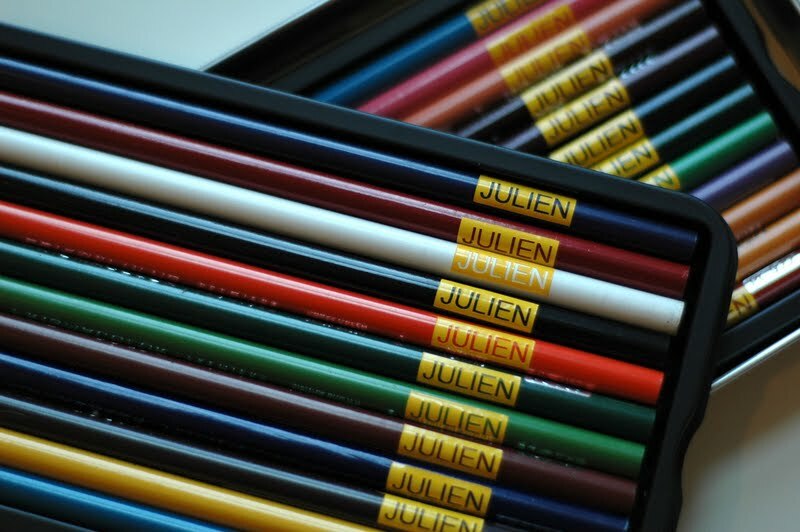 I love the way you added Julien’s name – it looks like the pencils were made that way! I absolutely LOVE this! But why in the world does your 6-year-old need prisma colors? Awesome but quite pricey! 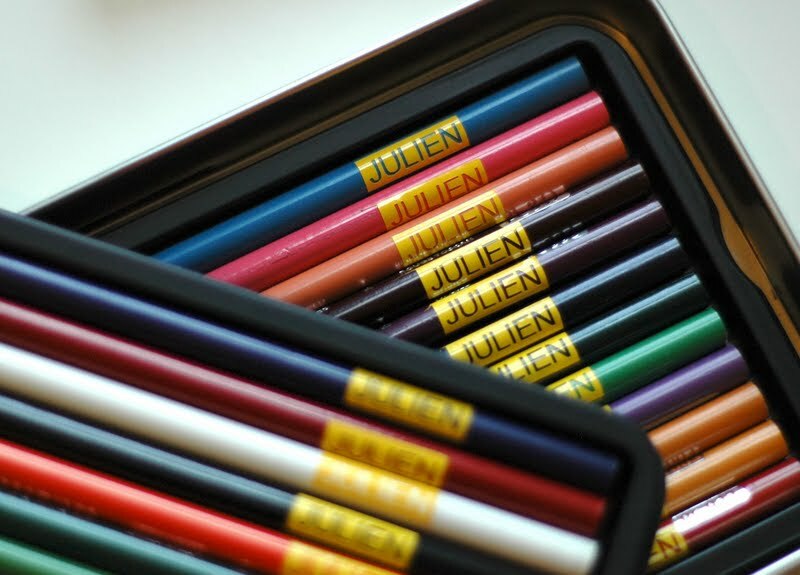 Even more reason for me to get a Silhouette… I have actually labeled each crayon and pencil my kids had to take to school. But I used a Sharpie. Yeah, I know how to party all right. Very cool. 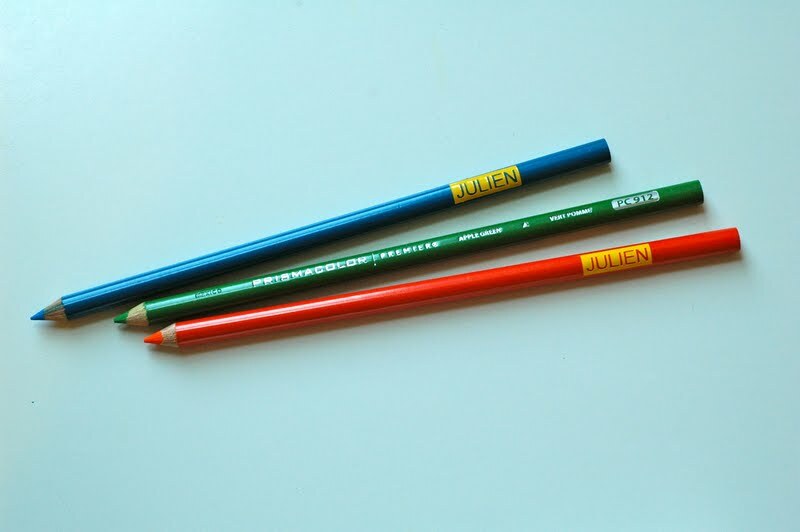 No more lost pencils! 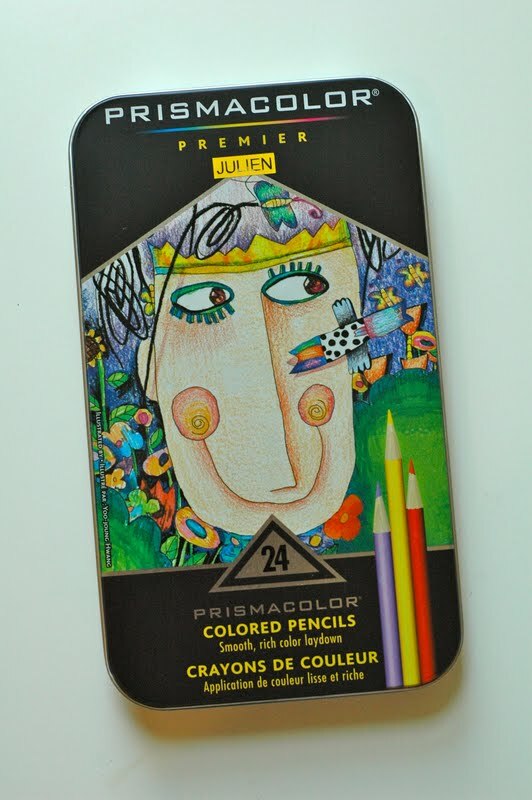 Oh how I love prisma colors…and I think they are PERFECT for a 6 year old. That’s about the age I started using them. My grandpa bought me my first set. THe colors were so creamy and intense. It was love at first sight. Almost 30 years later I’m still in love. I have my degree in art, taught jr. high and high school art and currently teach community art classes on the weekends. And it all started with that first set of pencils from my grandpa (who I just came from visiting). I definitely need a silhouette! I had writing names on every single pencil, it’s hard and it makes me look like I have the most horrendous writing! Could you do lil O’s next? No arguments with the neighboring kid over who’s green is whose. As a teacher, I’m in love with this idea. And as a crafter, I’m totally impressed with your tweezing patience.